Hi all, very short update for you this week as real life has taken over in a nasty way. Still, it's my daughter's 2nd birthday today and I spent several hours making her this cake on Saturday that I was really proud of! Just to give you some idea of scale, it's about as tall as a wraithknight! 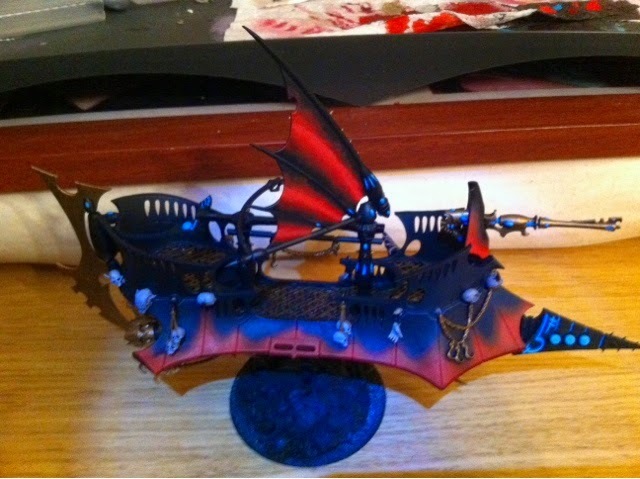 Ok so back to hobby stuff, what I did mange to do this week is finish the raider transport for the grotesques I showed you last week. 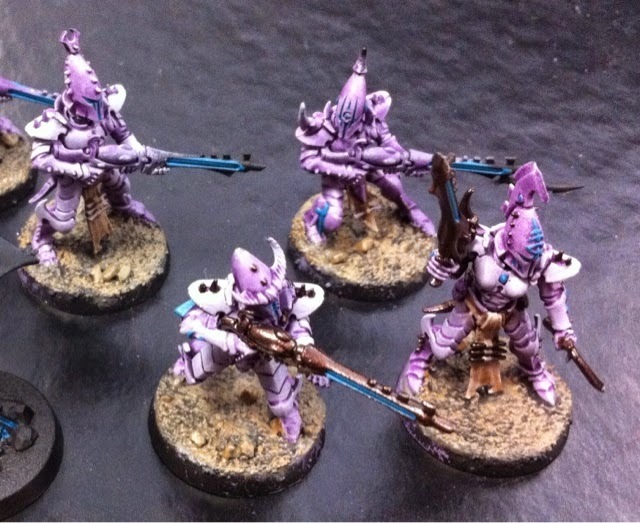 It's a very different scheme to my kabalite warriors, so should contrast nicely on the tabletop! 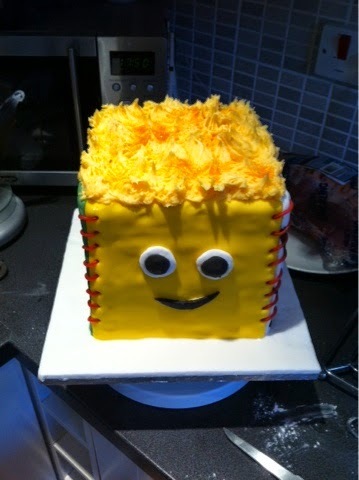 I know I know, another dodgy photo but I will get some good ones taken soon! Next time I should have at least a venom to show you! Well, all gamers within easy commuting distance of Asfordby, just outside Melton Mowbray in the East Midlands that are available on thursday evenings and can afford a £3 subs fee! Seriously though - I help to run the MAD Wargaming club in Asfordby, and we're looking for new members - your first game is free and just £3 thereafter to cover the costs of hiring the hall we use. The group is made up of a cross section of gaming culture, from the competitive to the friendly, with the vast majority of games taking place in the middle ground where both players will play hard to win but without being an arse about it. 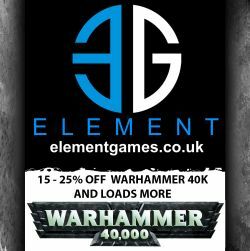 It's not just 40k either, we play both varieties of Warhammer, along with bloodbowl, Star Trek:Attack Wing and Magic: The Gathering, and other games are also participated in, including Mars Attacks, several members are just taking up Batman, and Godslayer may be making an appearance too before long. We also have a new member playing Bolt Action, Kings of War and Warmachine so players of those games would also be most welcome. 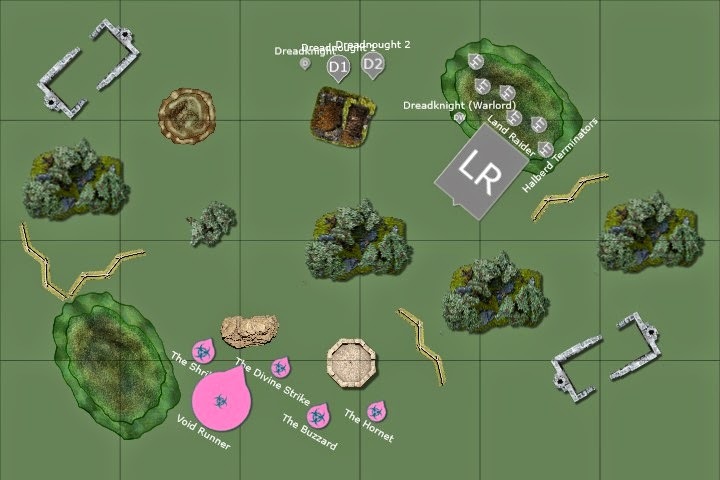 So, if you're in the vicinity, or know someone who is, and you're/they're looking for regular (or even occasional) games on a Thursday night then please check us out - we have a forum at http://madwargaming.proboards.com/ or just email madwargaming@gmail.com for more info. 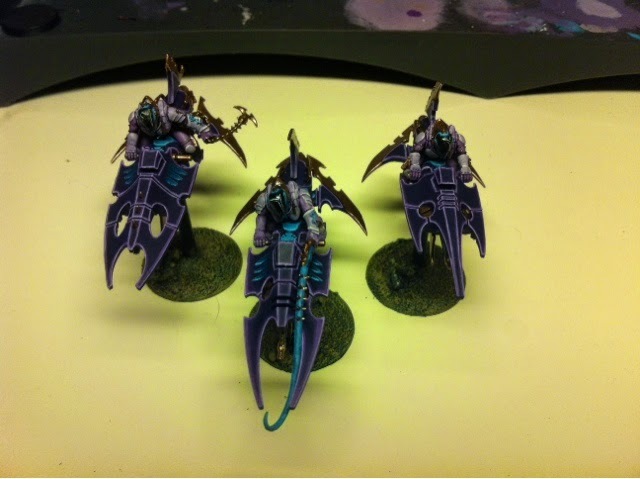 Week 16, month 4, dark eldar blogwars project. Hi all, well it feels like more than a week somehow since my last post, but here we are again with more painting progress. I'm afraid my butterfly tendencies kicked in a bit this week, along with a feeling of guilt that a survivor series painting log I'm taking part in with my club meant that I wanted more visible progress than painting some of my warriors would show. Hi all - today I have for you the first of two battle reports. This one features the stalwart warriors of the Iron Fists chapter betrayed by the imperium they strive to protect, as the Grey Knights are sent in to destroy knowledge uncovered regarding an ancient evil. Alongside the Grey Knights stood the misguided forces of the Salamanders. 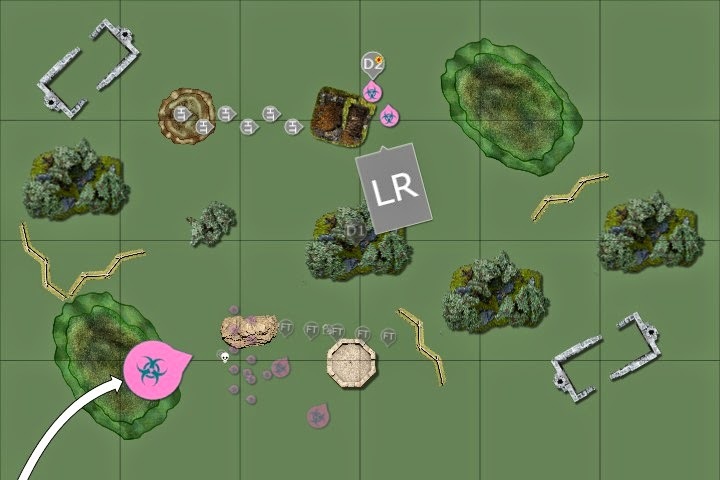 So this was the fifth game in the campaign I'm running at my club, called the Desolation of Delta Tao. This game was slated for 1500pts and would be played using a modified version of the Big Guns Never Tire mission. Now all the participants in the campaign have already submitted lists for each of the games, the idea being that those forces represent the resources available to them on the planet in question. After the escalation games there would be a final multiplayer mission where each player can only select their force from the survivors of the previous missions in an attempt to recreate the finite nature of a campaign force. I won't go into that any further at this point, but there will be a report once it's been played! Now I've tried to put a few twists into the games for the campaign, including alternative missions, and the 1500 game was no exception. This was a little more involved though as I made 500pts of each persons force into a sideboard, so once they knew who they were facing and what was in their list, they could tailor up to 500pts to face that opponent. Now as the campaign organiser I've been trying not to be too competitive with my list building, so I've themed everything. At 1500pts my theme was deep strike, so my original list comprised 2 librarians with 2 minimum sized tactical squads, my centurion squad, and then a drop pod ironclad, drop pod sternguard, and two jump pack assault squads. I was drawn against MJ, so decided as I was facing power armour that the assault squads wouldn't be too helpful. 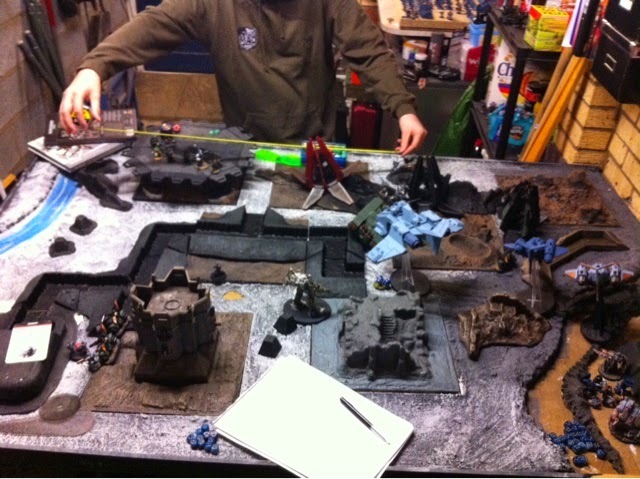 Out they went, with one of the two libbies (facing grey Knights I saw little point me trying to cast too many powers). In their place came a formation I've been dying to try - the storm wing, which is two storm talons and a storm raven, all of which arrive together from reserve and are BS5 with pinning vs ground targets. Finally, before I get to the action, the mission was modified to only allow a max of 1 point for killing heavy support choices - this is because the campaign scoring works on victory point totals and I wanted everyone to have the same potential number to score from. I used a decoy deployment, placing my centurions and missile launcher tactical squad on my right, with the other tactical squad and librarian warlord on my left. That should allow my reserves time to focus on the rest of the army after dragging his forces out to one of the corners (preferably the one with the centurions). The Dreadknight warlord, which was allowed to deep strike with re-roll scatter on turn 1 managed to mishap and went into ongoing reserve whilst the tactical squad in drop pod arrived near my missile launcher tactical squad. The bikes gunned their way forwards, though two suffered catastrophic collisions with trench walls as they did so. The Salamanders librarian channeled the powers of the warp, but suffered catastrophic feedback and suffered a wound. The flamer tactical combat squad killed 1 tactical marine, whilst the melta squad killed another three. The plasma cannon devastator squad killed three from the librarian's tactical squad, whilst the assault cannons on the land raider redeemer wounded the lone remaining tactical marine on the right three times, though he passed all his saves. The Librarian's tactical squad killed one of the bikes advancing on them, whilst the ironclad dropped in killing a bike on the right. the centurions opened up on the tactical marines, wiping the combat squad from the table. The plasma devastators opened fire on the librarian's squad again, killing another, whilst the second combat squad on the right wiped out the solitary tactical marine. The termiantors with halberd, who had hammerhand cast on them, charged the ironclad, causing a single hull point of damage, though the ironclad failed to hit with any of its attacks. The 2 bikes charged into the centurions and caused a single wound, but they held. The sternguard arrived, scattering the full 12" meaning they were beyond optimum range, and right in the land raider's target zone. They opened fire anyway, killing two of the plasma cannon bearers. The centurions killed one of the bikes, whilst the terminators finished off the ironclad. As expected, the Land Raider toasted 6 sternguard with its flamestorm cannons, whilst the centurions who were now out of the combat took a wound after a storm of fire from the tactical squad, dreadknight, and bike. The dreadknight therefore charged in, wiping them out in the assault phase. The Storm Wing arrives, though the twin linked multi melta targeted the land raider poorly, missing both the original shot and the re-roll. The Storm Talons made up for it though, their twin assault cannons targeting the dreadknight and stripping three of its four wounds. The librarian and tactical marine assaulted the bikes on the left, killing one. Having suffered at the hand of the storm talons, the dreadknight shunted across the board whilst the plasma cannon devastators finished off the sternguard. the halberd terminators got back into the landraider. Everything else was either out of range or busy slapping each other in combat. The Storm Talons split, one killing the dreadknight whilst the second finished off the last bike on the centre objective. The librarian killed a second bike and caused them to flee, though failed to catch them and keep them locked in combat. The Land Raider gunned its engines to deploy the terminators back into the battle, but immobilised itself in the centre of the board. The last biker crashed, his armour failing to protect him from the high speed crash. The flyers opened fire on the terminators this turn, killing two. The plasma devastators opened fire once again, this time gunning down the last of the tactical marines on the left. The librarian tried to gain a wound back by manifesting life leech on the devastator squad, but failed to cast with sufficient force and failed to get back onto the objective during the shooting phase (I needed a 2" run!). The storm raven failed to kill anything once more, though the storm talons once again proved their worth, killing a terminator and the grey knight librarian. Well the game continued, with the plasma devastators and the salamanders librarian failing to kill my librarian, though the terminators took down a hovering storm talon. That last act of defiance wasn't enough however, as the storm talon killed the last terminator and both it and the storm raven hovered onto objectives, claiming them for the Iron Fists. With that, the game ended, and after totting up, it became clear that the iron fists had won a convincing victory, 12-4. It also meant that my surviving forces for the carnage game were boosted, as I was able to keep the storm raven, one storm talon, my librarian and two drop pods alive. Conclusions - the deployment tactic worked well - my opponent knows well enough how much damage the centurions can do and had to deal with them, sending the dreadknight, a bike squad, a full tactical squad and the terminators to that side of the board. Sadly my counter punch wasn't quite as coordinated or effective as I'd hoped - the poor marksmanship of the storm raven gunners meaning i had to rely on the land raider immobilising itself to limit the terminators mobility (it was about time though, Mj must have taken at least 6 dangerous terrain tests with it by then). I was disappointed with my sternguard, but then rolling 12" for scatter was always going to cause problems, it was just a shame they ended up in range of the land raider. I was pleased with my performance, and the margin of victory even lifted me to the top of the table in the campaign for a short while, at least until Ed played his 1500 match and won by an even greater margin! 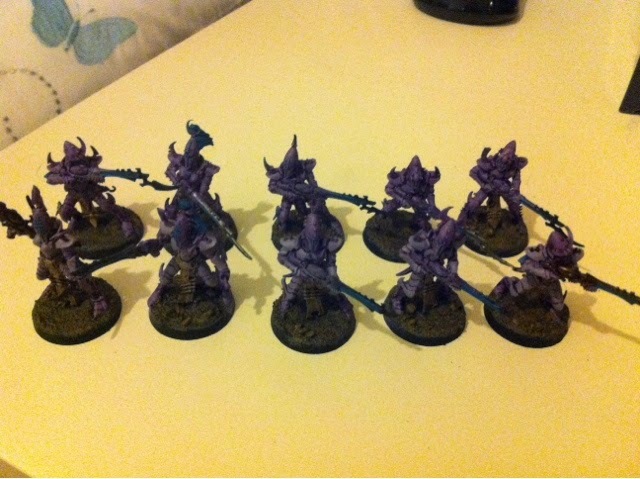 Next up - Dark Eldar vs the Tau of the farsight enclaves! 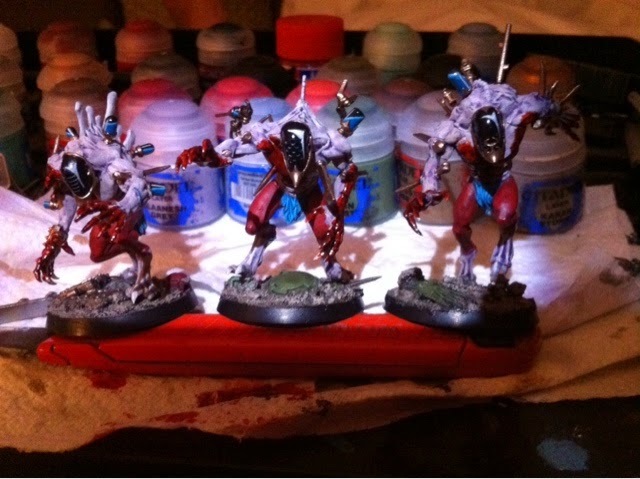 welcome to the weekly painting update! Last week I took some complete pictures of the Kabal of the Burning Eye in its current state - though I'll be honest, I've not made much progress this week. Below you can see the solitary squad I've managed to complete in an entire week - sadly progress was delayed due to social engagements on Friday, Saturday and Sunday. I've got a couple of battle reports on the way - first one was the Iron Fists up against the Grey Knights and their Salamanders allies in the 1500pt game in the campaign I'm running at my club, the Desolation of Delta Tao. Then on Thursday the Kabal took on the Tau in a 1500 game - not my most optimised list, in fact I took some knowingly under par units simply for a bit of variety, but they still put up a decent showing and pushed in some upstart faces. 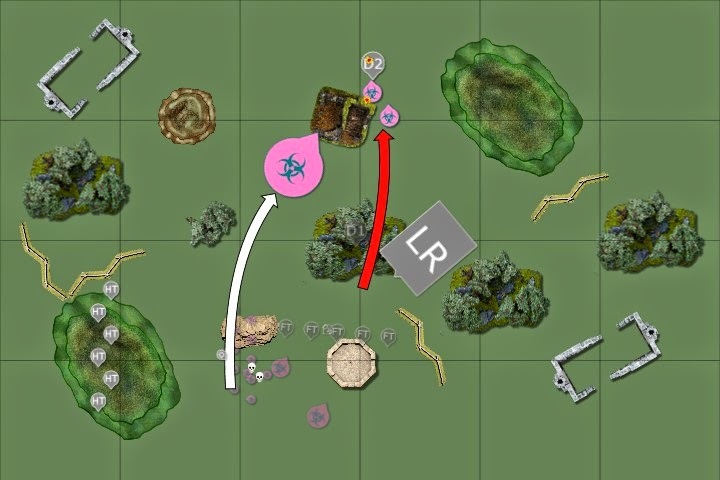 Hi everyone, and welcome to the latest in my series of Tacticas – this time I want to talk about deployment, something we all do every time we play, but how often do we really think about what we’re doing beyond hiding units or positioning them to get a good opening salvo? I’ve been guilty of this plenty in my gaming life, so it’s something I’ve been thinking about quite a bit lately, searching for how to improve myself as a player. 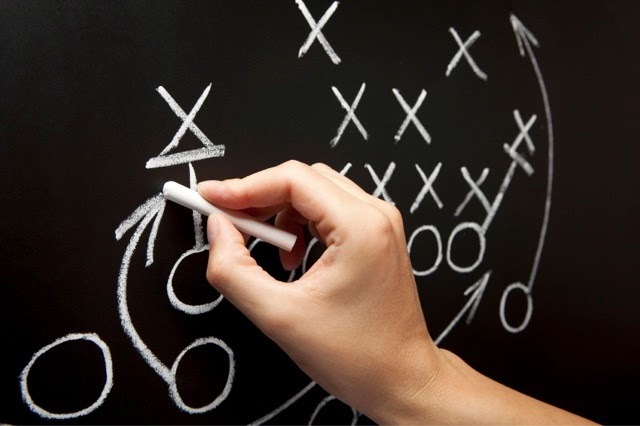 Well the truth is that deployment is one of the key elements that can set you on the way to winning your games, and whilst it’s fine in casual games to take the above approach, if you are playing in a more competitive style then you need to think more carefully about your battle plan, and how you go about setting out your troops to achieve that victory. 3. knowing whether taking first turn will benefit you more than going second, and if you don’t have the choice, whether you want to try and seize the initiative. The basic principle of this is to not actually put any models on the table during the deployment phase, and there are several ways of achieving that. 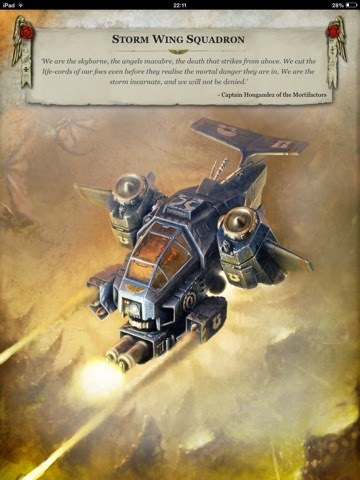 The main method is by having some way of reserves arriving on turn one, usually via the means of a special formation such as the scalpel squadron of the haemonculus covens or the strike force ultra of the adeptus astartes. A less common, but possibly sneakier way, is to use infiltrate. Now that's not null deployment as such, since you do have units on the board at the start of the game, but you have the benefit of being able to 'deploy' first and still place your units after seeing where your enemy has deployed. This method got used against me a few weeks ago and was a combination of the above. Three of my opponent's units deployed via drop pod, whilst an appropriate roll on the warlord traits table saw three of his normal units gain the infiltrate rule. ironically, he only had four other units, one of which already had the infiltrate rule! Null deployment is great when going second, as it forces your opponent to spend their advantage of turn one doing nothing effective, although against a quick enough opponent it can cede board control early on. Generally speaking though, if you're going to use null deployment, it's because you've designed your list to work that way. Similar to null deployment, minimal deployment requires you to have 1 or 2 tough units that are the only things you deploy on the board at the start of the game. It requires those units to be seriously survivable, because they're likely to face a lot of incoming fire from most, if not all, of your opponent's army. 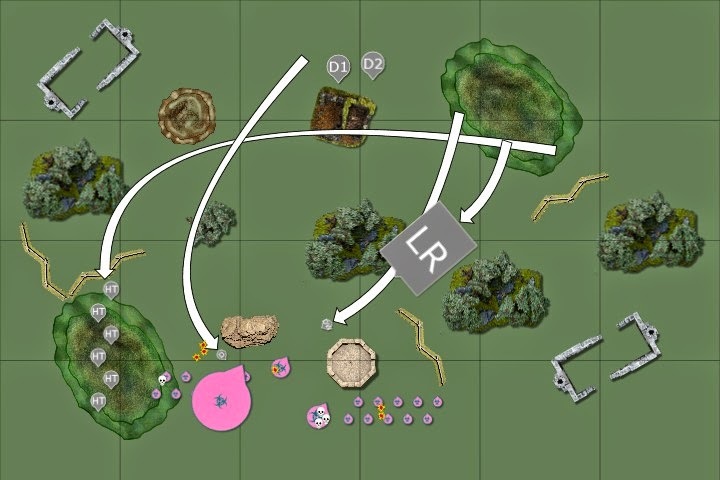 The second (almost) essential requirement for a minimal deployment is some kind of reserve manipulation - generally speaking to pull off a null deployment you will have units arriving on turn 1. Minimal deployment rarely has that option, so the least you need is to be able to guarantee either a re-roll or bonus to your reserve rolls on turn 2. As with null deployment, a minimal deployment method generally requires you to have decided to use this technique and designed your list around it. Remember, the more units you keep back in reserve, the more you need to be sure when they arrive they will have a significant impact. 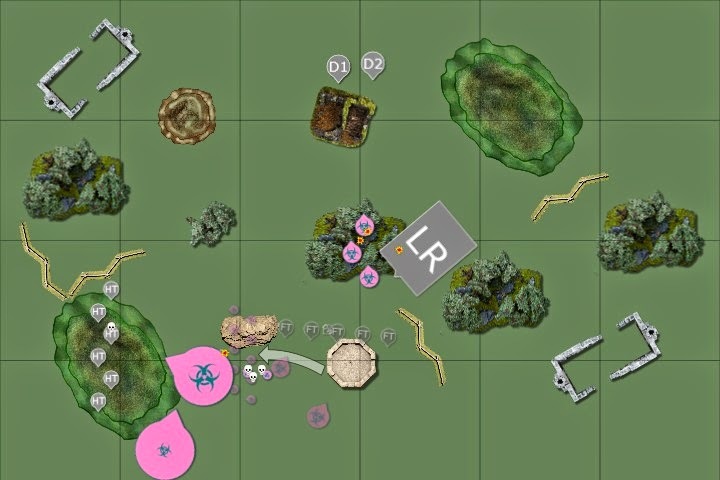 You will however need to assess your opponent's army before committing to it however, just to make sure that your deployed units can genuinely survive two turns of incoming fire before your reserves arrive. This is the type of deployment that suits most armies, and you'll probably face the most. The majority of the army is deployed, with only one or two key units being kept in reserve. These units are generally those that either have a substantial impact when they arrive, or are particularly vulnerable on turn 1. Generally speaking, I'd say this is the deployment type you'll use the most, unless as noted earlier, you've specifically designed your list around utilising either null or minimal deployment. Assuming we're discounting flyers here, this is probably the second most common method of deployment, and lends itself towards the two extremes of army selection - MSU style for multiple target saturation (though you may very well give up first blood if your opponent gets to go first) or heavily elite where you can't afford to have units in reserve in case they don't arrive soon enough (and it really does happen, i've seen two units with re-rollable reserves stay off the table until turn 4). Remember, as a glass cannon, if you deploy your whole army on the table, the best bet is to go first to maximise the damage your firepower can do - although if your opponent is particularly short ranged then it may be worthwhile going second to bring them into range. Defensive deployment is where you are looking to minimise the visibility of your forces, and the damage they can take on the first turn. This can be achieved in several ways, though the simplest is obviously to deploy your forces in such a way as to avoid your opponent getting line of sight to them. A defensive deployment works best when combined with a late-game strategy, so works very well with lists designed to null or minimal deploy. It's not only about where you place your units however, it's also about which side you choose. I read a battle report by Mushkilla over on the dark city forum this weekend that demonstrated this point perfectly. Playing against grey knights with a powerful alpha strike potential, Mushkillla chose the deployment zone with the fewest objectives in it - knowing they were playing a tactical objectives mission and that their army would mainly deploy via deep strike, Mush managed by this decision to force the grey knights player to abandon the alpha strike in favour of holding the zone with more objectives. This allowed the Dark Eldar to whittle down the enemy with their initial forces whilst building an unstoppable late game advance. Castling deployment is best used when your opponent has the advantage of mobility - they can strike where they want against you so you concentrate your forces into a strong base, usually with particularly tough and resilient units on the edges of the deployment. It's main strength is that the opponent can't strike at an isolated part of your force, so when deploying its important not only to think about which units make the best castle walls, but also on the threat range of those units and the ones they're protecting. If your opponent can deploy and pick away at shorter range but tough units providing your castle walls then you'll fail, you need to have sufficient range with the remaining units to strike back and do some genuine damage to the assaulting army. As with many of these deployment methods, castling works best if you've thought hard about your deployment during the list building stage, bringing units that are capable of protecting those on the inside of the castle walls. Yo also don't need to think of the castle walls in the traditional tough manner either - they can be made up of cheap throw away units (such as dark eldar Raiders with night shields for a 3+ jink, or ork trukks for blocking line of sight etc. This is probably the classic deployment style, the default to which many players revert if you will. It spreads your units out across your deployment zone, taking advantage of cover where you can find it and giving units the opportunity to strike at key targets and objectives straight away. This however is a strategy best used by mobile forces, as its greatest weakness is the ability of the enemy to focus on one particular part of your army, overwhelming it and leaving the rest of your force outnumbered and outgunned. This is also a tactic that is becoming slightly overtaken by the game rules - now that objectives are deployed before table halves are chosen, you rarely see the sort of setup you did under sixth edition where each army placed their objectives in their own deployment zone and sat a tough unit on them whilst they focused their offense on taking the enemy objectives. What I tend to see more of these days is objectives placed where they can be claimed without being in a particular deployment defensive zone, and with the advent of tactical objectives, clustering objectives together to make them more reachable by units is becoming more common. 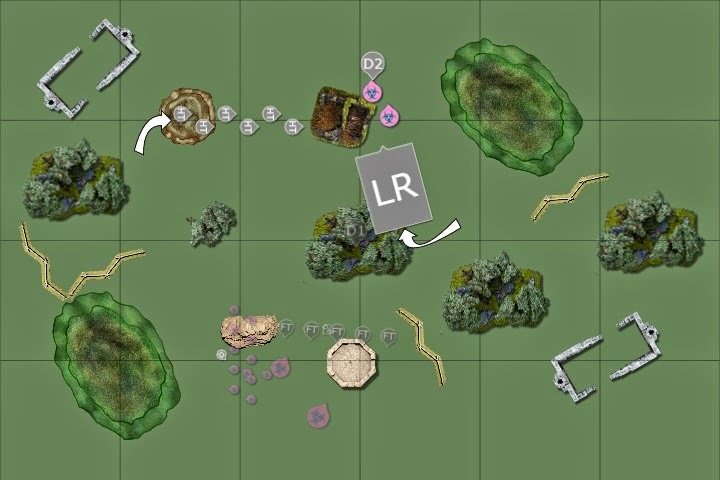 This is a method I'll be using in my next game (which I'll have played by the time this is posted) whereby you place a distraction unit in a semi-vulnerable location. In my particular case it will be a unit of three lascannon/missile launcher centurions and a heavy weapon tactical combat squad. Granted, that's a fairly hefty distraction unit, but it also cannot be ignored (my centurions have become hated in my gaming circles, only once have I lost them all and their effectiveness was assured when in my first game they took down a soul grinder on turn 1 before it took a step in anger). Essential components of the decoy deployment are that the distraction unit is not placed on an objective (if they were, they'd be the target, not a decoy), and second, that they are capable of significant damage on their own so that they can't just be ignored. By doing this, you force your opponent to divert a portion of their force to deal with your distraction or risk them winning the game for you. In the example above, I hope to force a significant portion of my opponents grey Knights to deal with the centurions, leaving the rest of my army room to manoeuvre. If I can force his dreadknight to shunt early on in the game, I'll have time to deal with it, otherwise it could run riot. Ah, my favourite (though not my most frequently used I will admit). Not for the faint of heart, this deployment strategy will either win you the game or you'll get hammered early. 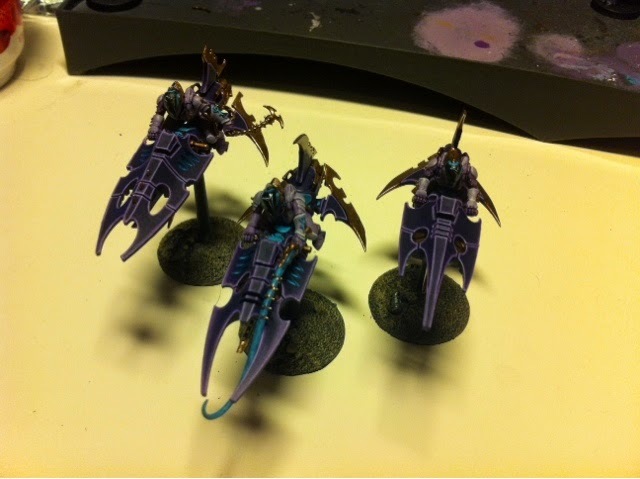 I played a typical example of that against eldar jetbike spam with my marine bike list a while back. All my units deployed aggressively, at the front edge of my deployment zone, ready to boost forwards to be in my opponents face early on. My opponent seized the initiative and maimed a big section of my army on turn 1 before I even got the chance to move. This strategy is almost exclusively for use when you're expecting to go first, and i wouldn't advocate it if your opponent has any shenanigans that affect the seize the initiative roll (even if it's just a re-roll for it). It essentially involves setting up in advanced positions where you can control fire lanes and advancing routes from the first turn, and is designed to allow you to inflict maximum casualties or gain maximum effect from your movement on turn 1. 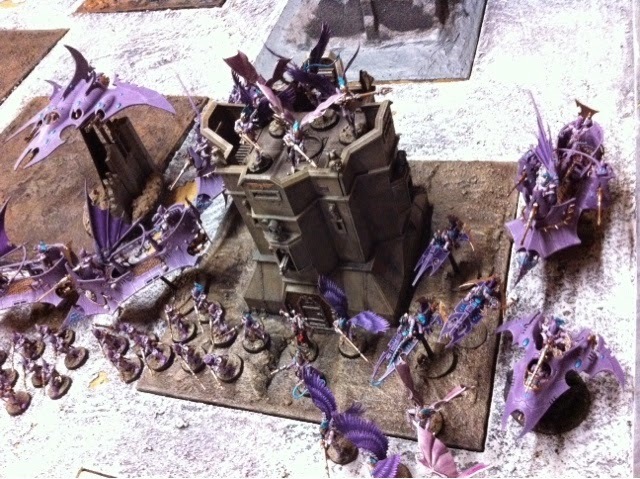 It's clearly best used either with armies that are focussed on assaulting the enemy, or have limited long ranged shooting, but the key thing is that any army using this strategy has to be able to inflict damage on turn 1, and should probably be reasonably tough enough to withstand a poor first turn. Tricky one this, because it very much depends on so many factors - if your opponent is a short ranged army and you have lots of long ranged units, you'll probably want to go first to get in that extra round of shooting before they get to you. 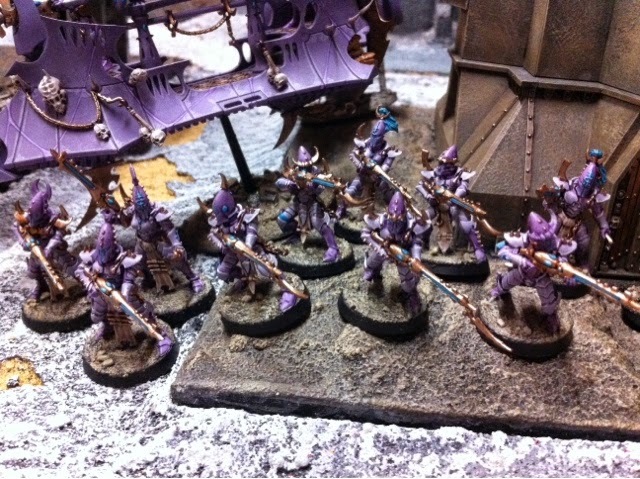 If on the other hand your army is based around a null or minimal deployment, going second is often sensible because it means your opponent has to waste their first, and sometimes second, round of shooting and combat without being able to damage your forces at all. Then you have the more typical considerations to take into account, such as if you're playing an eternal war mission, going second allows you to take objectives without the opportunity for your opponent to retaliate, and similarly with maelstrom missions, going second allows you the pleasure of knowing exactly what you have to achieve in order to get ahead, meaning you don't have to spread yourself too thin as you may be tempted to going first. Ok that's me done on deployment for now - I appreciate that this tactica wasn't so much a 'do this against x' style article, but hopefully it's got you thinking about deployment yourself - there is no substitute for learning 'in game' and no amount of someone telling you what to do will help you figure it out if the situation is slightly different. If on the other hand this article has given you some tips about things to think of when designing your list and deploying it to the tabletop then I'm counting it as successful. Hi everyone, welcome to the latest update post on my blogwars army project, I'm now half way through the time I've got to work on it, though I'm pleased to say that in terms of points, I'm now 78% done on my 1850 list. To celebrate that milestone (the halfway point I mean, not the 78% finished, that would be weird) I decided to take some pics of the finished army so far - please excuse the board, it's in transition! 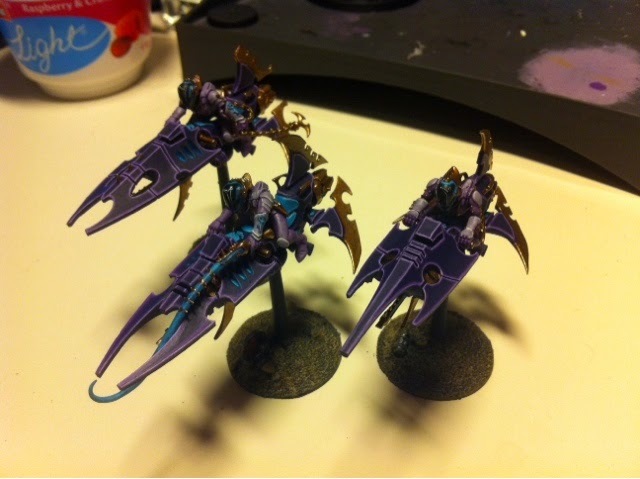 So last week I'd finished the reaver jetbikes, and begun work on the warriors. Well I've finished the first 10, the second of my gunboat squads (though I've actually painted two of these ten as squad leaders simply due to the models I picked to work on. 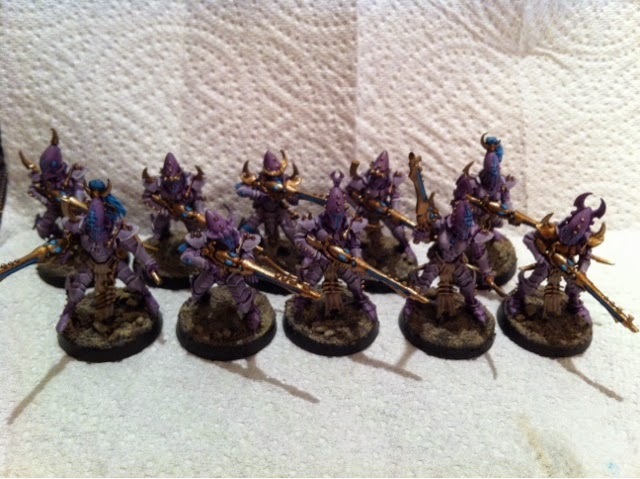 Next week should see the completion of at least 5 of the remaining ten warriors (hopefully all ten) so that I can start work on the coven units (I say start, I've been tinkering with them as I'm going along so they're well on the way). It doesn't look like I'll have much terrain progress to update tomorrow, I've made some progress just not enough to justify a whole post. That means my next post should be a deployment tactica on Wednesday, till then keep those bristles smokin'! 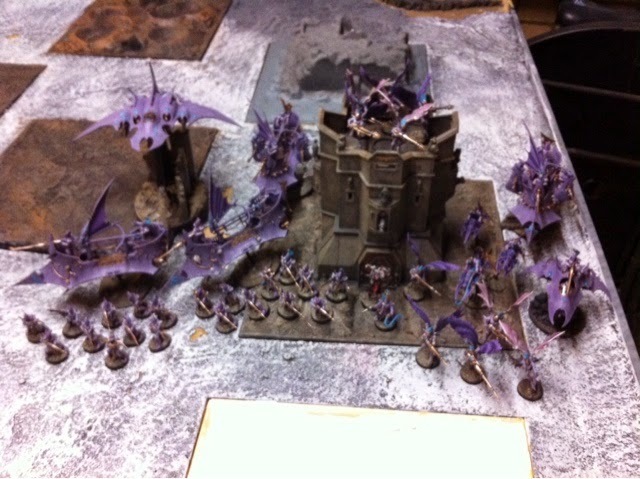 Hi all, and welcome to the latest battle report - this time a 1500pt CAD from my Dark Eldar Kabal of the Burning Eye (led by an haemonculus of the Coven of Distorted Perfection) took on the might of the Grey Knights..
We played the Relic eternal war mission, with night fighting in effect on the first turn, using diagonal deployment. 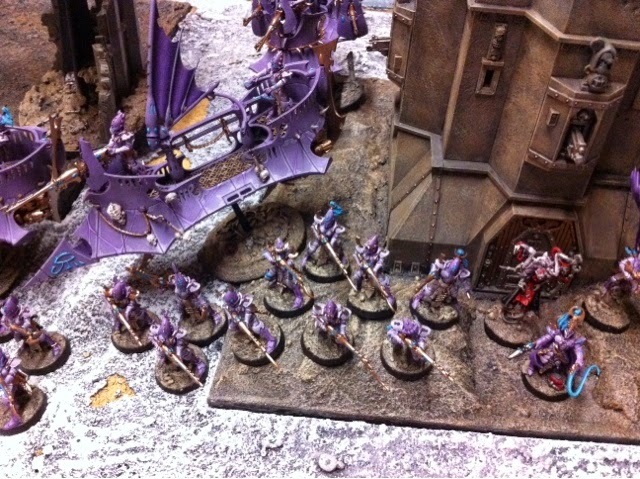 The Grey Knights took the first turn, and it wasn't a good one for the Dark Eldar! Both Dreadknights triggered their personal teleporters, crossing the field in a blinding flash of light, whilst the land raider redeemer gunned its engines and went flat out to close with the enemy. The Warlord Dreadknight attempted to manifest Sanctuary, but too late he realised he was too close to the Dark Eldar Archon, who was carrying an arcane piece of technology making the use of warp energy significantly more dangerous. Although the Dreadknight survived the psychic backlash, he was wounded and unable to cast cleansing flame for the remainder of the battle. 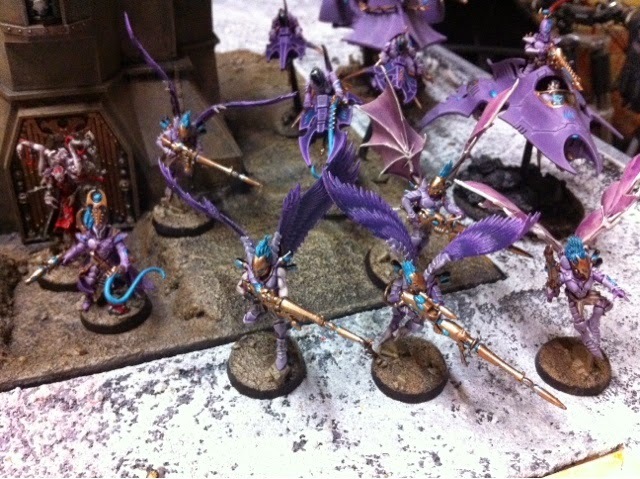 The halberd equipped terminators manifested Gate of Infinity, and also crossed the board, threatening the Dark Eldar lines. The Dreadknights opened fire, killing 1 and 3 warriors from the respective raider squads in front of them, with the first also glancing the raider twice. The halberd equipped terminators also opened fire on the same vehicle, bringing it crashing to the ground and netting First Blood for the Grey Knights. The Land Raider opened fire on the Incubi's venom, but only succeeded in triggering its flickerfield. Finally the two dreadnoughts opened fire, the first suffering a catastrophic cooling failure on its plasma cannon but managing to wreck the Archon's venom with its twin linked autocannon, whilst the second stunned the incubi's transport. 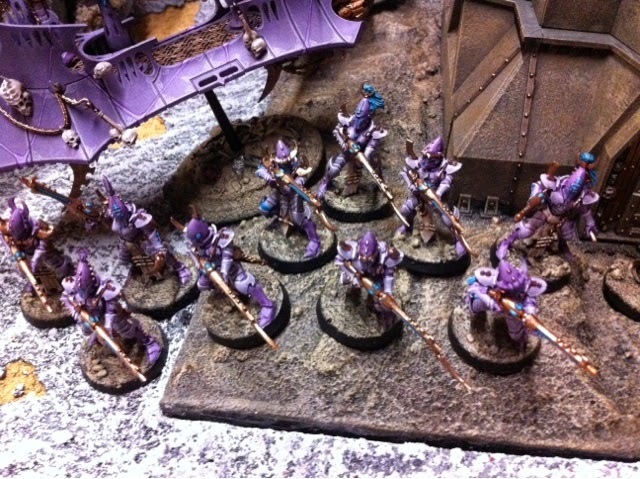 Having had a serious dent put in their offensive capabilities last turn, the Dark Eldar needed to consolidate. The Incubi venom, the raider squad and the archon all shot at the Dreadknight warlord, causing a second wound, whilst the disembarked warrior squad wounded the second dreadknight. The Ravager opened fire but missed with all three dark lance shots. The Incubi and Archon both dismounted from their transports and charged the Dreadknight warlord, the Archon's shadowfield shorting out under the weight of overwatch fire, but keeping him alive this turn at least. Despite their flurry of attacks against the Dreadknight, neither the Incubi nor the Archon could wound the construct. The second Dreadknight advanced, and the warlord Dreadknight once again manifested sanctuary but took a wound due to the perils of the warp. The Falchion terminators dismounted their land raider, charging into the combat with the warlord and the Archon. The Land Raider paused its advance to destroy the Incubi's venom and the remaining raider, whilst the second dreadknight wiped out the first dismounted warrior squad. Fire on the ravager took 2 hull points and caused it to snap fire in the next turn. In combat, things began to go the way of the Dark Eldar, as the Archon took the final wound from the Dreadknight in their challenge, and the Incubi, striking like quicksilver, felled all five of the falchion terminators before they could strike back, the Archon and Incubi consolidated towards the second dreadknight. Both the Razorwing Jetfighter, and the Dark Artisan formation arrived this turn, the Talos taking a wound from dangerous terrain, the former unloading all four missiles on the terminators with halberds, causing 18 hits but only a single wound got through their armour save. The Archon took aim with his blast pistol, wounding the remaining dreadknight whilst the Talos' haywire blaster took a hull point from the land raider. The Incubi and Archon charged the dreadknight, but once again the incubi failed to cause a single wound and the dreadknight struck down the archon in return. The dreadnoughts and land radier opened fire on the Dark Artisan this turn, its legendary ability to soak fire tested to the limit. plasma and autocannon rounds crashed into the Talos, sending it tumbling to the ground, and the land raider left the Cronos on a single wound, but the Haemonculus survived unharmed, with the relic still in his grasp. In the assault phase the halberd terminators charged the ravager and wrecked it, the dreadknight killed three incubi for no wounds in return, and the nearer dreadnought charged into the Dark Artisan. The haemonculus struck first, his scissorhand causing a rending hit on the dread, and the cronos smashed its tentacles across the sarcophagus, wrecking the ancient warrior's resting place. The Dark Artisan advanced on the second dreadnought, discarding the relic and charging it to prevent another round of shooting from its dangerous weapons. The razorwing also targeted the dreadnought this turn, causing a glancing hit with one of its dark lances. 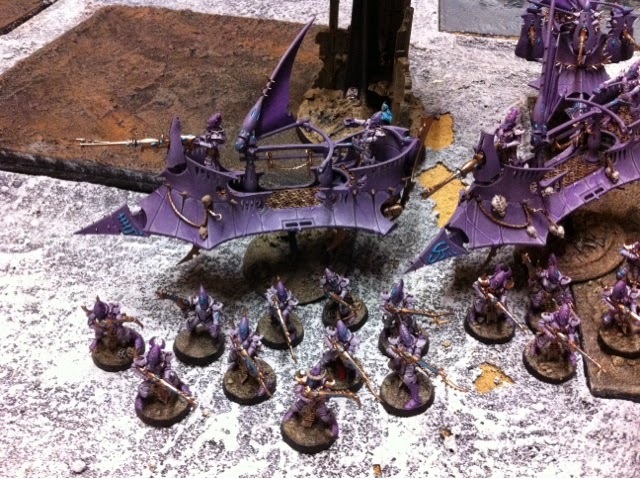 The incubi, without the archon to tie up the dreadknight, were inevitably mulched this round, leaving the dark eldar deployment zone free of any dark eldar troops. In the other combat, the haemonculus and the Cronos both failed to hurt the dreadnought, which wounded the haemonculus in return. the halberd terminators decided to go after the relic this turn, with no other targets in their vicinity, but their gate of infinity jump was risky, they chose a more open target point but scattered some distance even from there (10"). That meant they would be unable to claim the relic if the game ended on turn 5. The land raider opened fire on the razorwing, its assault cannon causing a single glance after the fighter threw itself into a series of evasive manoeuvres. The dreadknight wiped out the second warrior unit, and the combat between the dark artisan and the dreadnought was a stalemate for another turn. The razorwing left combat airspace this turn to circle round and make another pass in the next turn, with no viable targets on its current path. The combat was a stalemate once again, though the haemonculus failed to regenerate a wound with 'it will not die'. With little to target, the terminators moved towards the relic to claim it if there was a turn 6, whilst the dark artisan and the dreadnought slapped ineffectually at each other once more. The razorwing returned, its dark lances drilling twin holes through the power plant of the dreadknight, sending it crashing to the ground and clearing the dark eldar deployment zone of grey knight troops. The combat was once more inconclusive, though the Cronos did put another hull point of damage on the dreadnought. With that, the game ended, and the Dark Eldar emerged victorious thanks to killing the grey knight warlord and the dark artisan finishing the game in the grey knight deployment zone. The grey knights scored first blood but the last turn slaying of the dreadknight combined with the scattered gate of infinity left them with just a single victory point. This was a really enjoyable game, momentum shifting from the early turns destruction of the majority of the dark eldar forces to the later turns grinding the grey knights down and the impressive massacre of the falchion terminators. 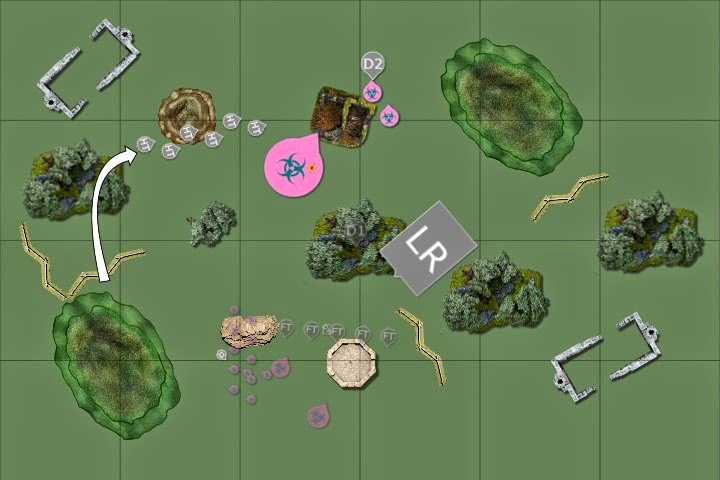 In assessment of my performance, I was pleased with the adherence to the mission, my plan had been to deep strike in the dark artisan and make their way over to the grey knight deployment zone in the hopes they could secure me the objective, linebreaker and keep my warlord alive. Sadly I didn't quite have the resources to keep hold of the objective, but it was enough. I was also pretty pleased that i decided to charge the dreadnoughts, effectively neutering their main strength, which is their shooting. Against a majority toughness 7 unit, they are quite ineffective in combat, particularly without an AP value. 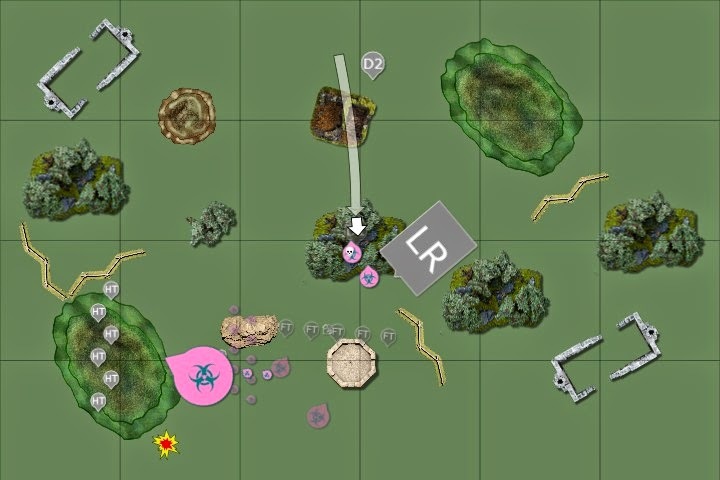 My biggest disappointment in the game was twofold, first the breaking of the shadowfield on the first time of asking as the overwatch fire from the dreadknight saw me fail a save, and second my rolling to wound with my incubi - i must have scored about 16 hits over two rounds of combat with two dreadknights, but failed to roll any sixes to wound them. The combats would have gone very differently if I'd managed that! Welcome all to my 200th post! I've been running this blog for just over a couple of years now, and I'm pleased to say that thing are going well, monthly views, although still peanuts compared to some of the blogs out there, are steadily growing, and I'm refining my content all the time. 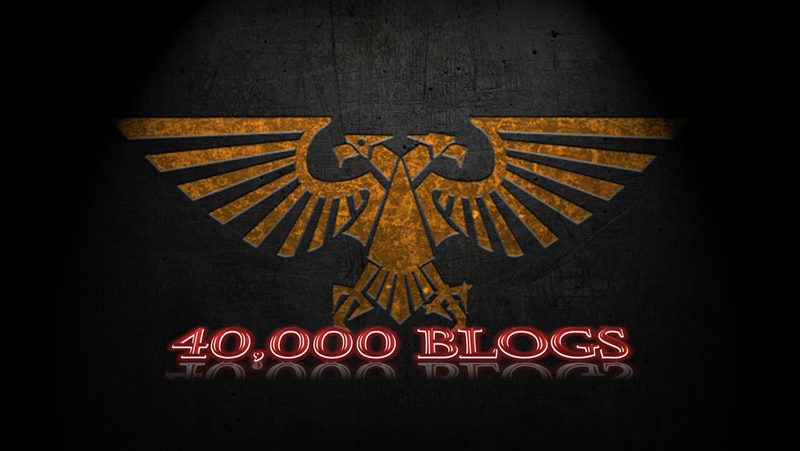 It's fair to say that this is still mainly a painting blog, to keep track of my progress on my armies, and the breakdown of posts bears that out - 55 painting updates, 37 tactical articles, 34 battle reports and 29 random posts. Of course all that means nothing if you, the readers, aren't enjoying my content, but i'd like to think that growing viewing figures means I'm doing something right! On top of that, I've started work on my warrior units, throwing all caution to the wind I'm going to aim to get all twenty remaining done this month, along with finishing the grotesques and making a start on the grotesque raider. Till next time, keep brushing!